Which? has been rigorously testing products and services for nearly 60 years - now we are assessing and endorsing local tradesmen and tradeswomen. Like our well known Best Buy logo, the Which? Trusted trader logo is a sign of reputation and trust; helping consumers choose the right trader for them and giving good traders the recognition they deserve. Credit report This is obtained to validate the financial health of a business who applies to be assessed. Customer Satisfaction The Which? 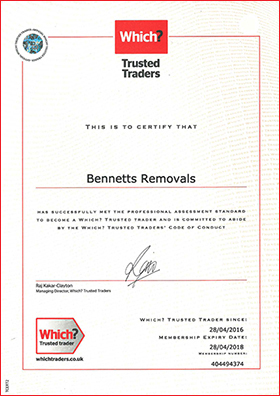 Trusted Traders endorsement team will check a selection of customer references from 10 domestic customer details chosen at random by the assessor. Business procedures A thorough examination of business and administrative procedures to ensure that businesses have consumer interests in mind. Interview and assessment Our standard assessment includes a face to face visit and interview carried out by a Which? trading standards professional to fully understand all aspects of how the applicant runs their business. Those who don't make the grade don't get endorsed. Due to the high demands of the assessment, not all businesses that apply get through the assessment process. Only those who meet our high standards can become Which? Trusted traders. After undergoing a rigorous assessment process to become endorsed, Which? Trusted traders sign up to our code of conduct. The code is there to give consumers the best possible protection. When traders join the scheme, they have to agree to abide by the details in our code of conduct. It is an extra layer of security that ensures Which? Trusted traders are following best practice and procedures in relation to how they handle: consumer contracts; goods and materials; taxes; consumer cancellation rights; payments; guarantees and warranties; insurance complaints; and other areas. We fully investigate any breaches to the code of conduct. If a Which? Trusted trader does breach the code of conduct, this could lead to them being removed from the scheme altogether. The Code of Conduct is there to give you peace of mind that the trader fully complies with the code so ensuring you get the service you deserve. Only undertake work that we are competent to do.